Microsoft Teams is an exceptional tool for persistent collaboration and document sharing within the Office 365 platform, and the Lifesize integration adds extraordinary video conferencing inside and outside your organization from within the Teams environment. The seamless workflow saves you time and allows for a more productive workspace by combining collaboration tools. Together you get a truly superior, all-in-one communication solution that is the best of both worlds. There’s no longer a need to keep collaboration tools and video conferencing software separate. 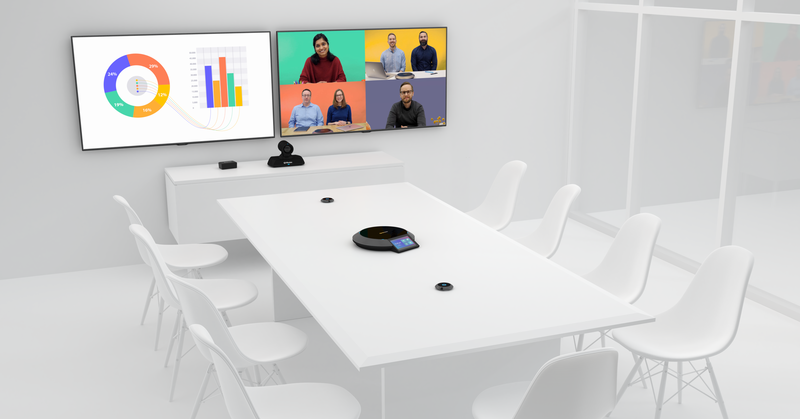 With the Lifesize integration for Microsoft Teams, users not only benefit from a streamlined workflow, but they also get an exceptional meeting experience with industry-leading video conferencing from Lifesize. Microsoft video conferencing integration with Lifesize works with the user experience you are already familiar with, making it easy for users and IT to implement. Administrators can enable access to the Lifesize integration for their entire organization or install in specific teams. Communicate with customers, partners and suppliers wherever they are. 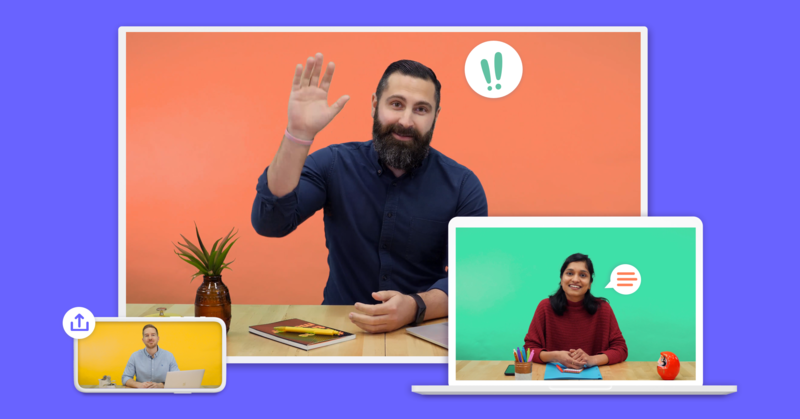 Even if they don’t use Microsoft Teams, people outside your organization can connect to a Lifesize meeting effortlessly using their web browser or video conferencing system. Since Lifesize is fully integrated with Microsoft Teams’ scheduling tool, you will already be familiar with the process. Join meetings with a single click from the Meetings tab in the Microsoft Teams app. Another intuitive feature of the Lifesize integration with Microsoft Teams is the use of a chatbot. Chat commands let you instantly join Lifesize meetings from the chat interface in Microsoft Teams. Five minutes before your meeting starts, a chatbot sends you a meeting reminder with a clickable “Join the meeting” link. You can also easily schedule video-enabled meetings from the meetings tab in the Microsoft Teams app. Boost adoption in Microsoft Teams video conferences and empower employees to be more productive and engaged with one easy-to-use, secure video conferencing solution. Lifesize has more than a decade of video conferencing hardware and software engineering experience that delivers an unmatched unified video conferencing solution that lets you present your business in the best light possible with lifelike video quality and crystal clear audio clarity. Lifesize's integration with Microsoft Teams is easy to add to your channel and makes scheduling and joining meetings effortless. Follow these five steps for the initial installation of the Lifesize application to your Microsoft Teams account. Download the Lifesize for Microsoft Teams.zip file. Add the Lifesize app to your Tenant apps catalog. Add the Lifesize app to a team or a select channel. Click the link and sign in to Lifesize. With industry-leading reliability and an experience designed around ease of use, Lifesize provides a proven, modern video conferencing solution right from within Microsoft Teams. 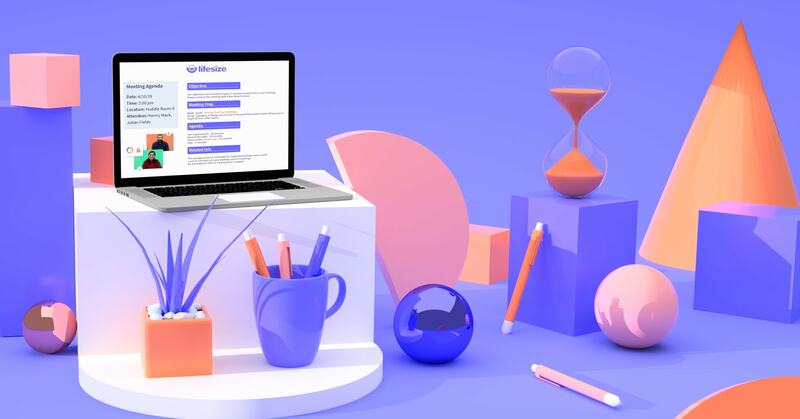 The enhanced Microsoft Teams environment combines all your collaboration tools into one easy-to-use solution that allows users to create, schedule and join Lifesize meetings directly from the Microsoft Teams app. Lifesize uses best-of-breed data centers with independent third-party security and privacy certifications to ensure the most secure and reliable connection possible. By integrating our meeting room systems and cloud service, Lifesize enables every person and every conference room with amazing video conferencing. Screen sharing, file sharing, and team collaboration doesn't stop due to poor video conferencing capabilities. With data centers in every major geography, Lifesize’s industry-leading global presence helps you connect your global team members. Lifesize fits perfectly into your organization and easily integrates with the Microsoft tools you use every day. There’s no longer a need to use multiple tools for collaboration. By enhancing your Microsoft Teams environment with industry-leading video and audio call quality and interoperability from Lifesize, you get a truly superior all-in-one communication tool. The streamlined workflow saves time and leads to more productivity and collaboration at work. In addition to Microsoft Teams, Lifesize also offers integrations for Microsoft Outlook®, Microsoft conference room calendaring, Skype for Business and Microsoft browsers. Schedule a demo to see the integrations in action.